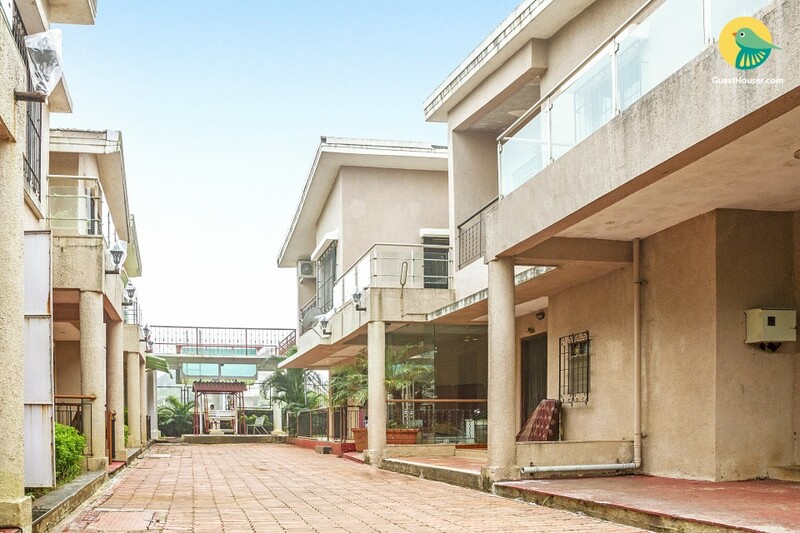 Located just 4 km away from the Wax Museum, this is an offering of a five-bedroom bungalow, and ideal for a large group of travellers. 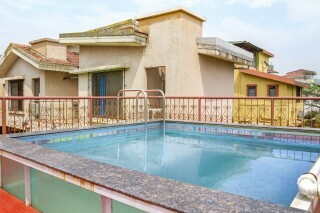 The property boasts a private pool, and the bungalow can accommodate up to twenty-five people. 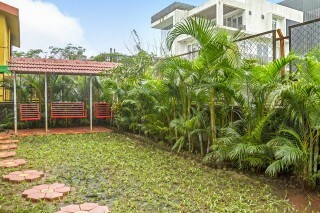 Your Space This bungalow is fronted by a well-manicured garden with lush shrubbery lined along the boundary wall. Wrought-iron swings are placed here, so kids can keep themselves entertained. 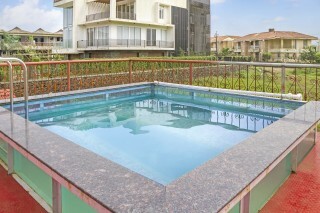 A swimming pool sits on the terrace, so you can unwind and take a dip while you admire the surrounding view. Inside, a cherry leatherette sofa set and a glass-topped coffee table are placed for your convenience. Ample seating in the dining room ensures you enjoy your meals with all your travel companions. 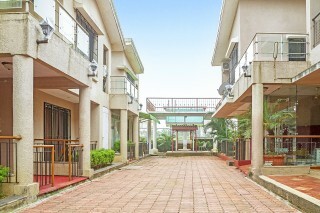 The bedrooms are furnished to provide utmost comfort. Each room is furnished with a fluffy double bed with side tables, a wall-mounted mirror, and a spacious wardrobe. One of the rooms houses two twin beds. The washrooms are tiled and well-appointed with western sanitary ware and modern fixtures. Guest Access Guests have access to the parking area, the kitchen, and the swimming pool. Guest Interaction The guests can contact the host regarding any maintenance or emergency issues arising during the course of their stay. Neighbourhood Overview These are some of the attractions nearby that guests can explore- Celebrity Wax Museum - 3.4 km Tiger Point - 4.3 km Lohgarh Fort Forest - 14 km Bhaja Caves - 15.5 km Pavana Dam - 20 km Getting around Chhatrapati Shivaji International Airport is 91.2 km away from the property. Lonavala Railway Station is 3.8 km away. Additional Information Guests are requested to provide valid ID proof at the time of check-in. Guests need to book the property for a minimum of 2 nights for 30th and 31st December or 31st and 1st January. Travel assistance is available. Car rental can be arranged. Smoking and drinking not allowed around the pool and pool timing: 8:00 am to 11:00 pm. It was a nice experience.. Few small things were not in place.. But overall it was good .. Rooms were clean. More important , washrooms in particular was excellent. 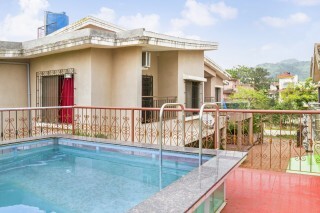 Spacious bungalow.. Would like to stay here in future.. Hope to get better discount than this time..
Lonavala railway station - 2 kms. Mumbai Airport - approximately 100kms. from the property.